Are you ready for the coming week? Markets will touch a record, while retail earnings continue to be looked upon. The bull market will hit a major milestone in the week ahead. Aug. 22, 2018 will make the post Great Recession bull market the longest in history. Cheers to wealthy investors for riding the wave. Investors may already be rejoicing. Dow Jones Industrial Average futures rose 12 points on Monday as of 3:21 a.m. EST, S&P 500 futures gained 5 points, and Nasdaq Composite futures increased 26 points. Here's what investors should keep an eye on in the coming week. The Federal Open Market Committee is set to release minutes from its last meeting on Aug. 22. "The main focus in the FOMC minutes...will be on any discussion around balance sheet normalization and the longer run operational framework. Powell may give further guidance in his speech on these topics at the KC Fed's 2018 Economic Policy Symposium," says Bank of America Merrill Lynch's strategists. The minutes are likely to be extra critical this time for investors amid several hot readings on inflation. Also on Wednesday, the final big group of retailers will report second quarter results. Lowe's Co. (LOW , Sears Holdings Corp. (SHLD , Target Inc. (TGT and L Brands Inc. (LB will be reporting. Target, Lowe's, and Sears will be reporting before the bell, but L Brands will be reporting after the close. TheStreet doesn't think Sears is in such a great place and the company may be running dangerously low on cash. Meanwhile, the reports will be scoured by investors as they look to place bets on potential holiday season winners. Walmart (WMT is seen as a front-runner to win the holidays, while J.C. Penney (JCP could be a big loser based on second quarter trends. Also on Aug. 24, struggling GameStop Corp. (GME will be reporting after the bell. @TheStreet will be analyzing all the retail earnings immediately on Twitter, so follow along. 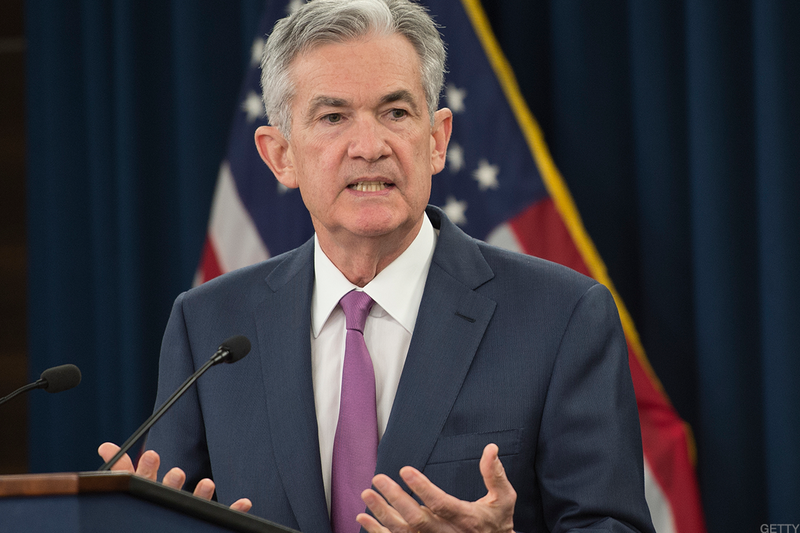 Jerome "Jay" Powell, chief of the Federal Reserve, will speak at the Jackson Hole Central Banking Symposium on Aug. 24. His speech will air at 10:00 a.m. EST. Powell will reportedly be discussing the economy and monetary policy when he gives his speech at Jackson Hole, which is in Wyoming. The full agenda of guests is expected to be released on Aug. 23 at 8:00 p.m. EST. TheStreet's sister publication Real Money previews the event. You won't want to miss this one. Quickly register for free here. Alibaba (BABA will report second quarter earnings on Thursday. Given the plunge in Chinese internet stocks and weak results from gaming giant Tencent (TCEHY , it's possible Alibaba's release disappoints. TheStreet's tech columnist @EricJhonsa previews the results. Tesla's (TSLA Roadster will be profiled Thursday on the latest edition of CNBC's 'Jay Leno's Garage.' TheStreet's Tesla expert @BretKenwell constructs a case for Tesla hitting $420 a share in his newest 'Tesla'd' column. Hat tip to Leno if he mentions Tesla's volatile stock and erratic founder Elon Musk (both unlikely). Coal stocks in focus ahead of a Trump rally in West Virginia on Tuesday. Trump is expected to pound the table on rolling back Obama era regulations on coal.